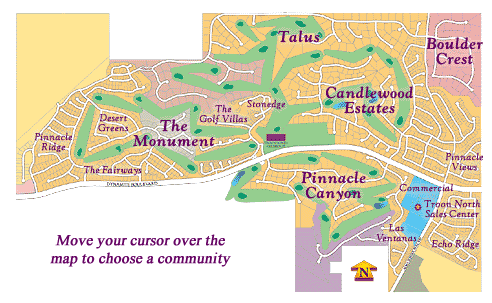 In the high Sonoran desert of North Scottsdale, the Troon North community stands as the hallmark of desert golf course living. Stretching through the natural ravines and foothills in the shadows of Pinnacle Peak, you’ll find some of the finest luxury real estate available in North Scottsdale. The special ambiance, visual sensation, and natural experience of Troon North set the standards by which all others are measured. The immaculately groomed Troon North Golf Club is the ultimate experience on Scottsdale golf courses in Arizona. Copyright © The Ray Group. All rights reserved.